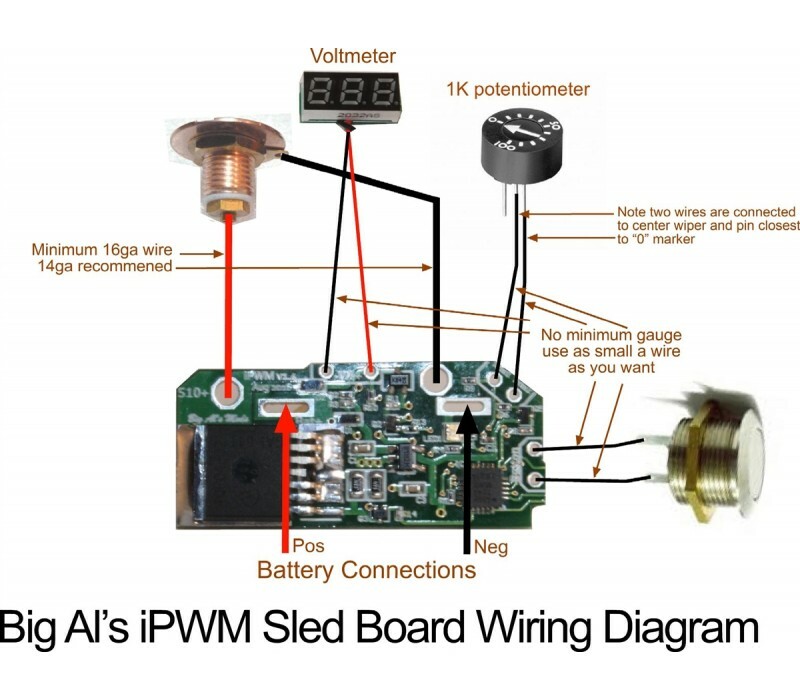 Big Al's Intelligent PWM (iPWM) board has many of the features of the most advanced regulators at a fraction of the cost! Built in Voltmeter Switch - Switch the voltmeter display from output voltage to battery voltage with no extra components. Silent PWM - PWM switches at 25 KHz, resulting in a more accurate voltmeter reading and no buzzing sound. Favorites Setting - Store your most-used pot setting and recall it at any time. 5 Click on/off - Turn the device on and off using the fire button. Low battery cutoff - Automatically detects the battery configuration (2s, 3s, or 4s) and shuts off if the battery gets too low. 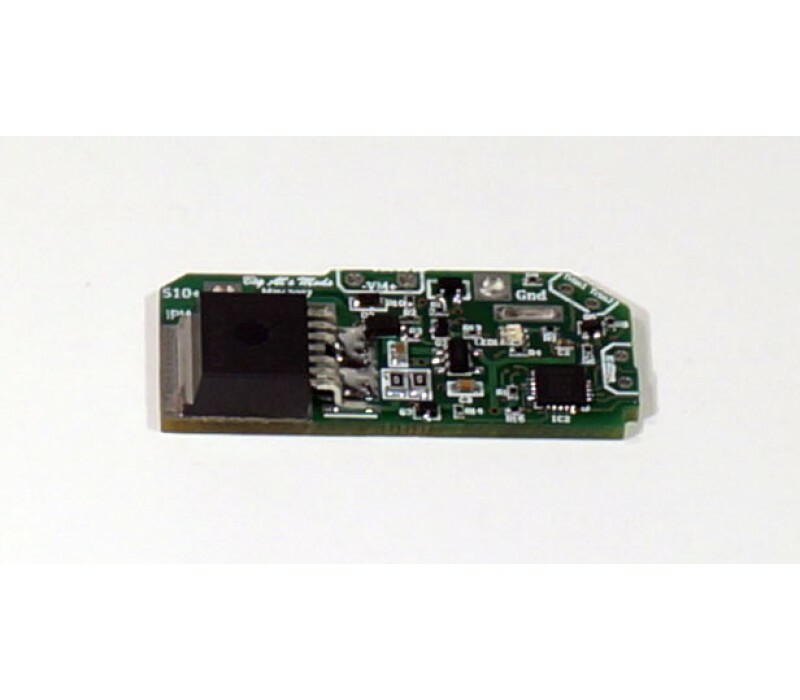 Reverse Polarity Protection - Board is not damaged if the batteries are installed backwards.